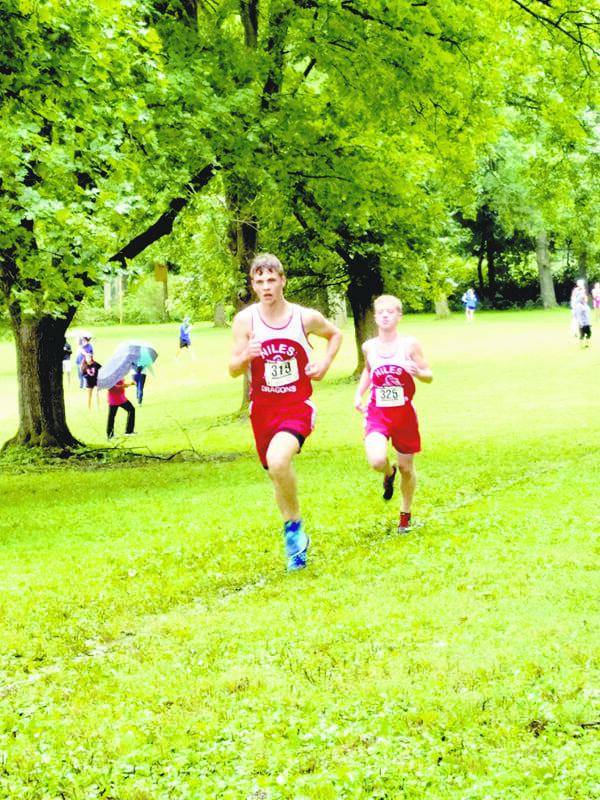 Special to Tribune Chronicle Niles’ Micah Curry, left, and teammate Nathan Lanham, right, run during Saturday’s East Palestine Rotary Invitational. Curry won the boys varsity race, while Lanham took fourth, leading the Red Dragons to the team title. Chris Acs. He’s a legendary figure in the area distance running community. The former Niles High School runner was an army of one in the late 1990s, eventually ending his career as state runner-up in Division I in 1999. This season, the Red Dragons don’t have that one superstar runner. For the first time since current coach Jim Fedor has been there, it’s a true team effort. It is called a pack, a tight-knit group of runners on one team finishing in a cluster during a race. Saturday, Niles won the boys side of the East Palestine Rotary Invitational, by about 20 points. The Red Dragons’ top four were in the top 10, while the fifth runner placed No. 13. It’s one of many accolades this team has had in the early season. Last year, junior Micah Curry and graduated senior Kevin Dubaj advanced to regionals. Hailey Zelinsky, who won the girls­ race at East Palestine, not only went to the Boardman Regional but advanced to state, the first Niles distance runner since Acs to go to that meet. Curry won his side at East Palestine, running a sub-18 minute time, the first for him this season. Curry picked up his pace following a ho-hum freshman campaign. He started putting in more miles and work. It’s been exciting times for these Red Dragons, but for this to continue, extra efforts and lower times must happen over the next month or so. It leads to Oct. 20 at the Trumbull County Fairgrounds. Niles must make it through as one of the top five teams out of 17 at this year’s Division II boys district meet. “I’m explaining to them it only gets tougher from here,” Fedor said. “You can’t get comfortable. You can’t let up. You’ve got to keep pushing it. You can’t rest on your laurels. As exciting as this is, our kids are looking forward to October. This means nothing. That would be a trip to National Trail Raceway and the state meet in Hebron. Getting a team past the district level is something Niles hasn’t seen since Fedor has been with the program, and that dates back to the late 1990s. Times for the top five of Curry, sophomore Nathan Lanham, sophomore Ryan Cline, junior Anthony Elbon and senior Mario Gioiello still must drop. Curry’s times have to start reaching the low 17s or below in the next month, Fedor said. “The rest of these guys have to start following behind,” he said. “It’s got to be a concentrated effort. Whoever is on the team in front of you, you have to latch on to them. It helps them because you’re pushing them. It helps you because you’re trying to stay with them. Freshman David Wilson, who took sixth Saturday at East Palestine, lost out on being in the team’s top seven during a home Suburban League meet. 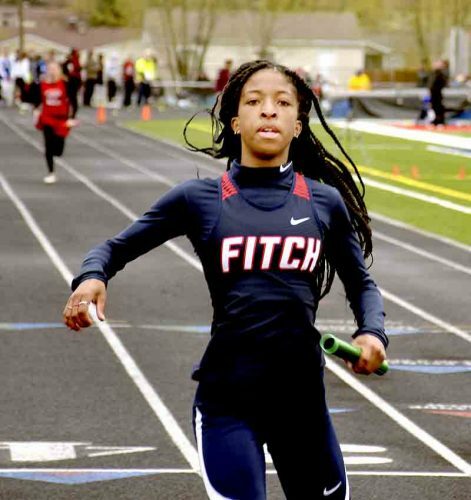 This year’s team, along with the talent on the Niles boys track and field team, has kept thoughts of Fedor retiring well in the distance, just like the Red Dragons boys cross country team has done this season. “I’ll never be able to retire because these kids are motivating me to stay,” Fedor said.